CedarBridge is an investment company focused on high growth opportunities in education, healthcare and retail in the Middle East and North Africa. 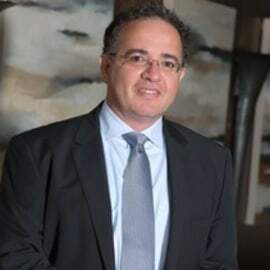 Imad has more than 15 years’ experience in private equity and investments throughout MENA, the UK and China, with particular focus on education, healthcare, wellness, and beauty. He is a director on the board of Kids First Group, the largest chain of nurseries in Dubai and Abu Dhabi; SAE Arabia, a specialised college in the UAE; AlShams Laboratories, one of the largest diagnostic chains in MENA; Sisters Beauty Lounge, a large chain of beauty salons in the UAE, and The Grooming Company, a large chain of grooming brands in the UAE.